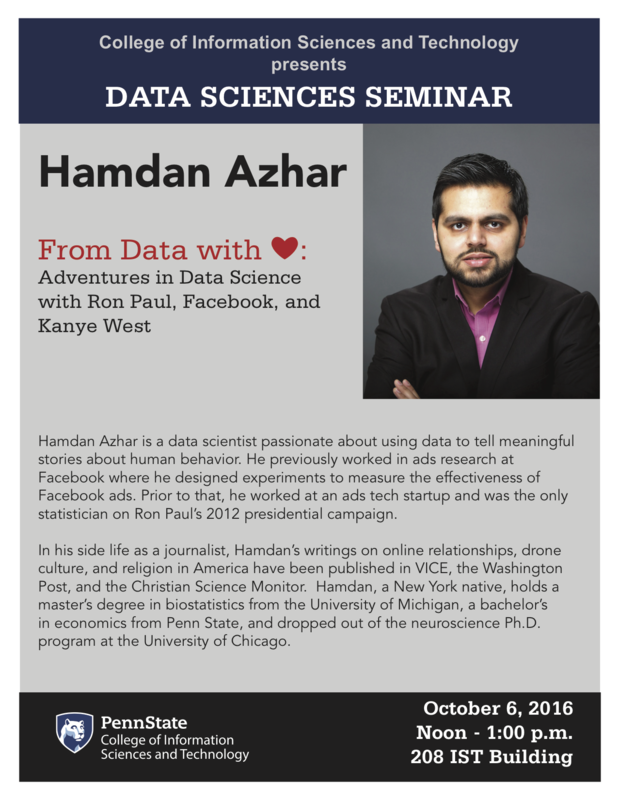 ​HAMDAN AZHAR is a prolific public speaker on topics at the intersection of technology and culture, including data science, emojis, blockchain, and more. He has delivered invited lectures in over 14 countries to audiences consisting of technologists, journalists, students, and members of the general public. April 24-26, 2019: SwitchPoint 2019, Saxapahaw, NC.